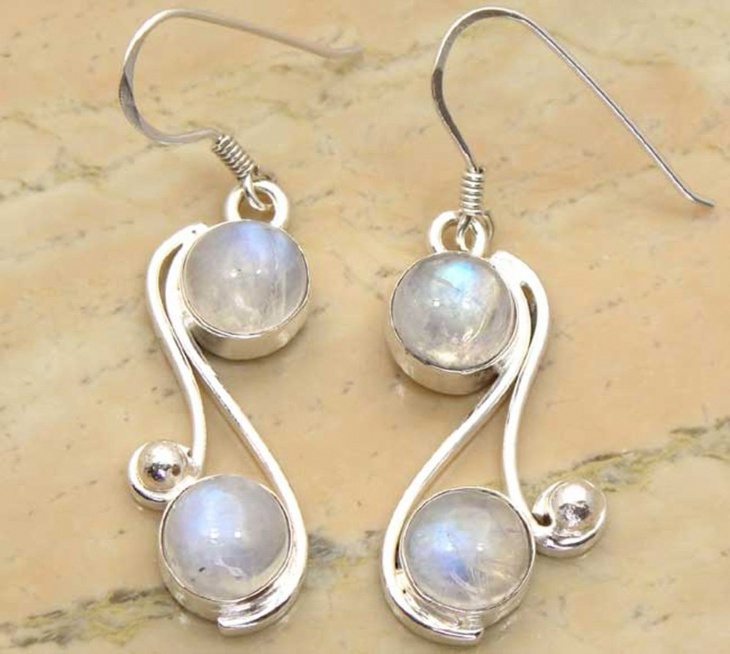 Moonstone is not just a normal jewelry design; it is a crystal that depicts peace, hope and happiness. 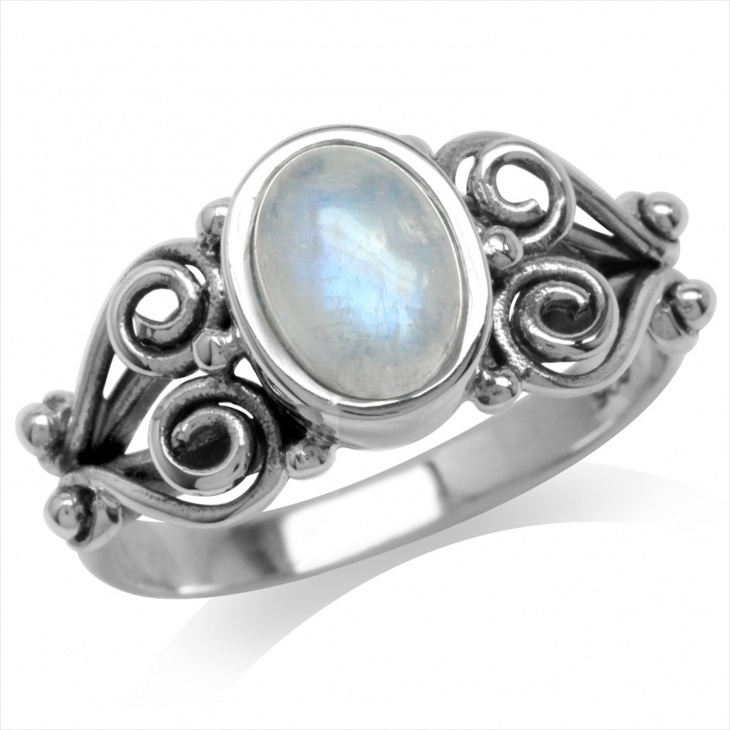 The Moonstone jewelry brings in positive energy and you see most people wearing the moonstone ring on their little finger. Most of the moonstone designs we see are plain white whereas when we went through the following designs, there were more colors. The structure of the stone is designed beyond just an oval design. There is art and creativity behind each design. 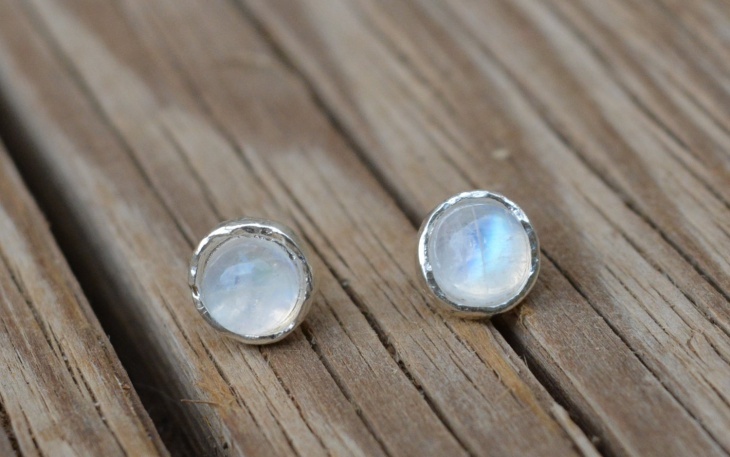 Let’s take a sneak peak into the moonstone jewelry world. 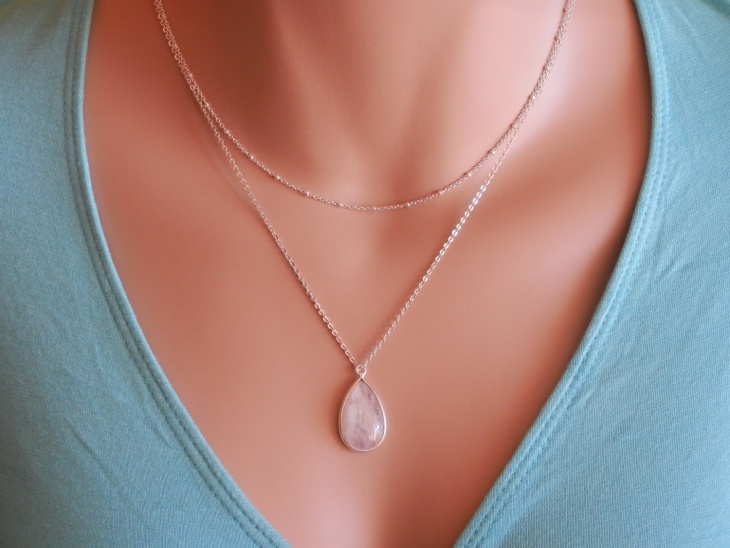 The moonstone jewelry design doesn’t look less than a diamond jewelry design. The stone shines and gleams from afar. 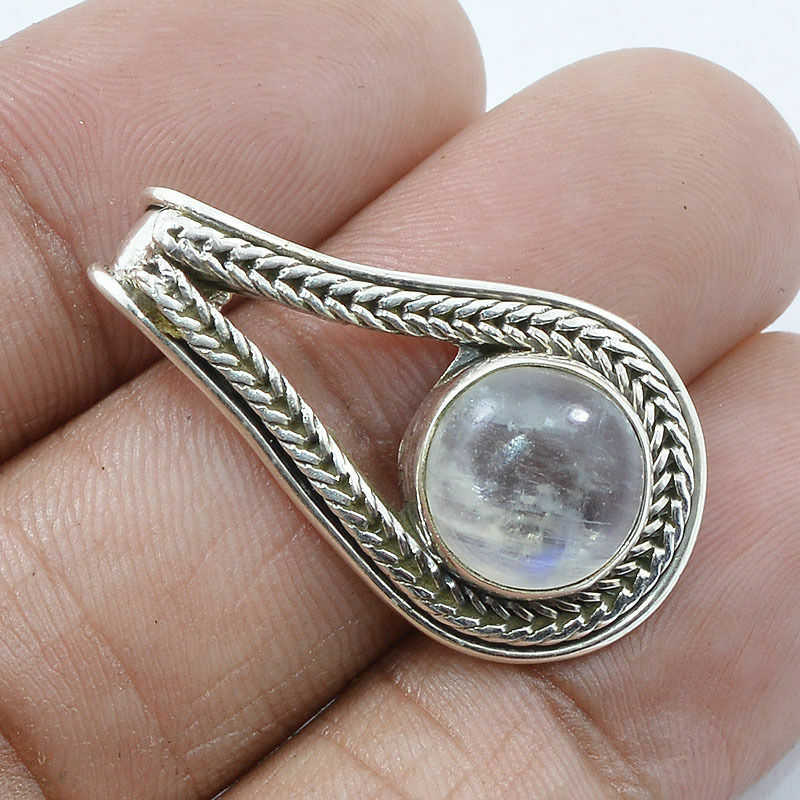 This oval moonstone jewelry design is simple but that’s what looks radiating. Wear it with a simple top or a beautiful gown; this is something worth showing off. 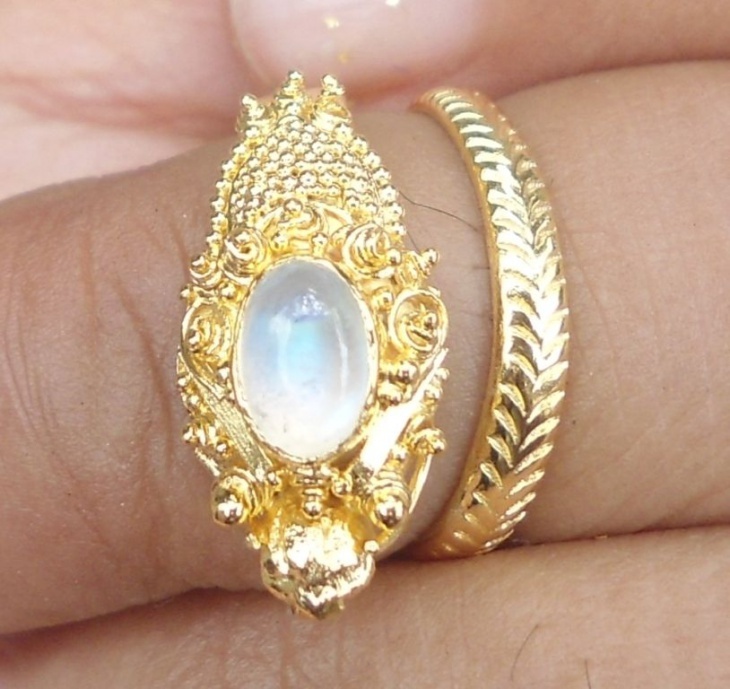 The moonstone is embedded in an antique ring. It is ornate in design, looking heavy but light to wear. The design on the ring is exquisite and brings out the vintage look and feel. 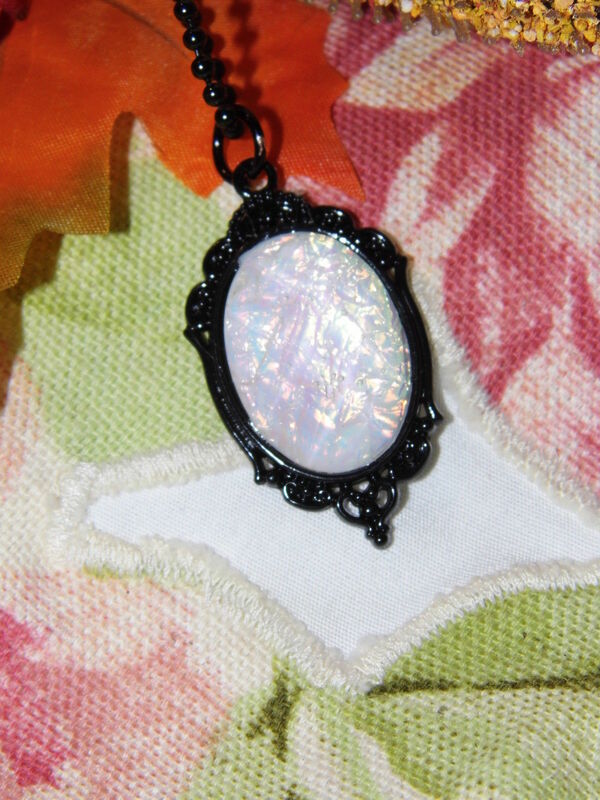 The moonstone blends in perfectly with the antique piece to make it look like one of the finest piece of jewelry. This fine chain is also known by the name Blue Kyanite. As the name indicates it is mostly blue in colour. Each stone has a different shape but when put together into one necklace, the symmetry and placement is done perfectly. 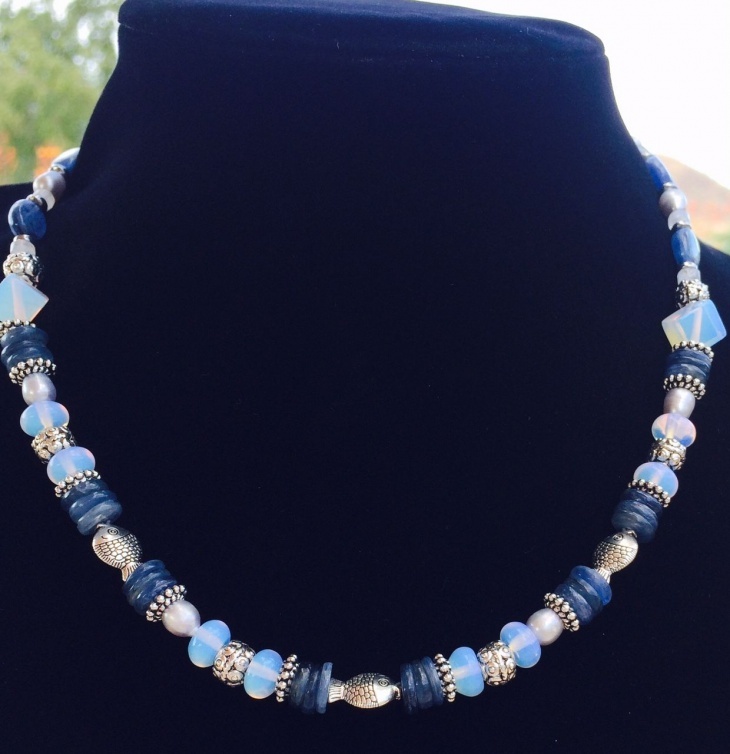 The silver embellishments in between the blue and moonstone stones make the jewelry stands out in an artistic manner. When you look at the ring you get a feeling that you are looking into a deep well with the reflection of the moon in it. Here it is not embedded but held by an overlaying design that is made up of silver. Overall this is a design that is beautifully thought off and executed. 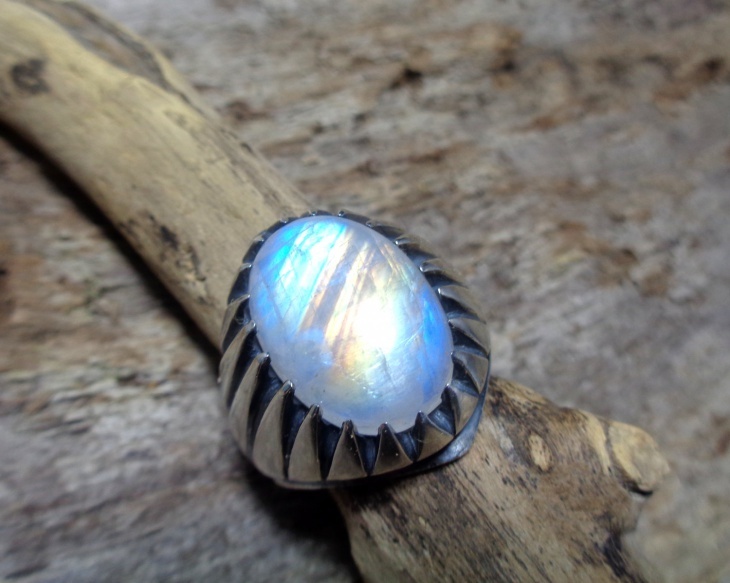 A man’s strong qualities are based in this wonderful ring. This might look a little too shinny and bling but the dragon design on it requires the shininess. The golden dragon is a Chinese symbol and this particular one is made of actual gold. Between all the powerfulness of a dragon is the powerful stone. 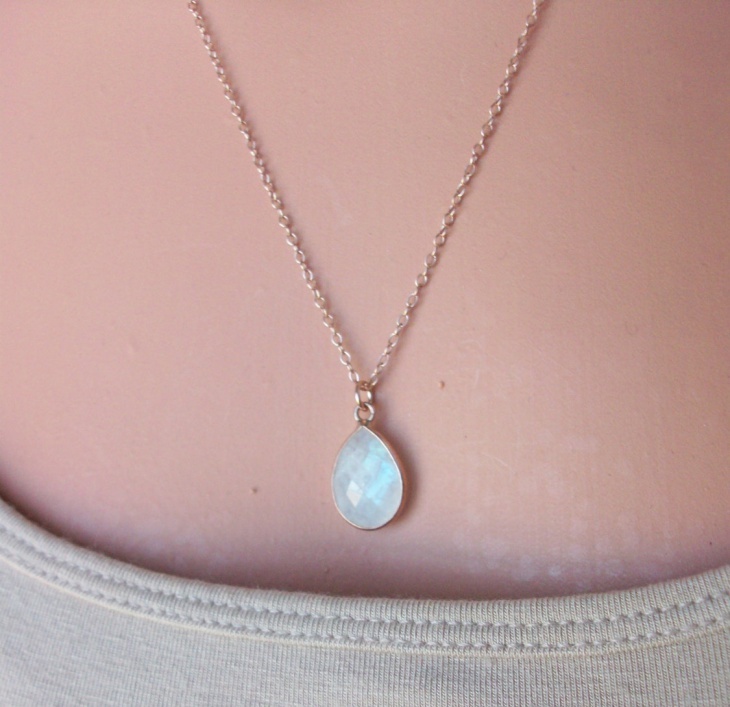 This stone is the ice blue moonstone. 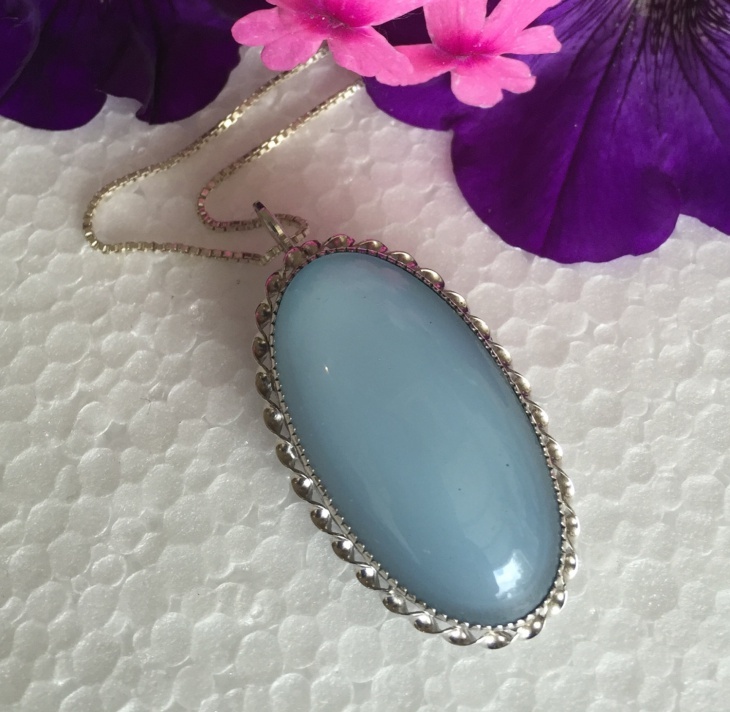 The long oval design of the pendant and little work around it is done very well. This is an elegant piece. It is simple but truly classy. You don’t need any occasion to wear a fine jewelry like this. Just flaunt it in style. When you look at jewelry, there are different kinds, Tropical jewelry, mosaic jewelry and geometric jewelry but keeping all that aside there is also a jewelry that is made out of love for God and this particular design is exactly what that is. 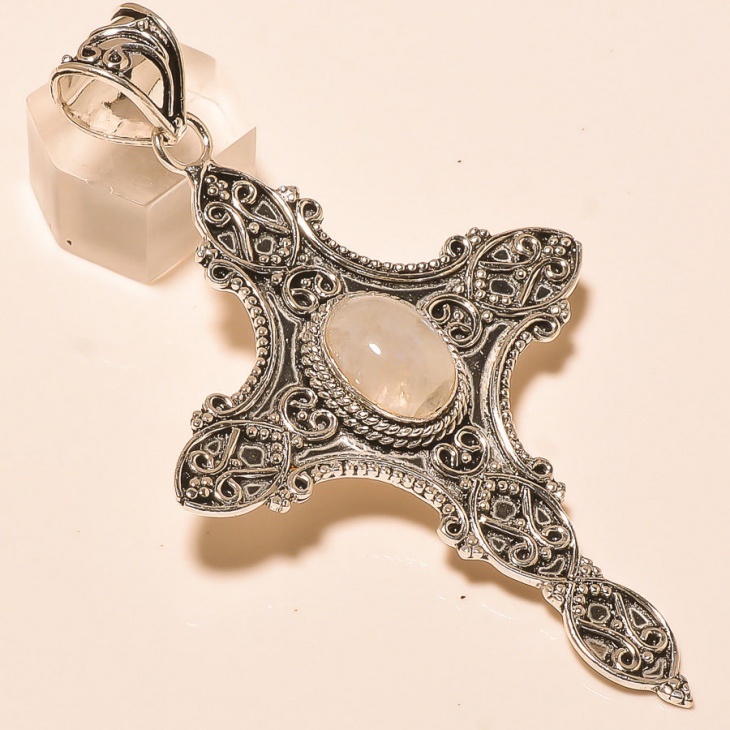 The moonstone and the cross symbol together makes it look gorgeous and also will bring you at peace. The heart symbol might seem a little clichéd but not when it is teamed with wonderful stones. 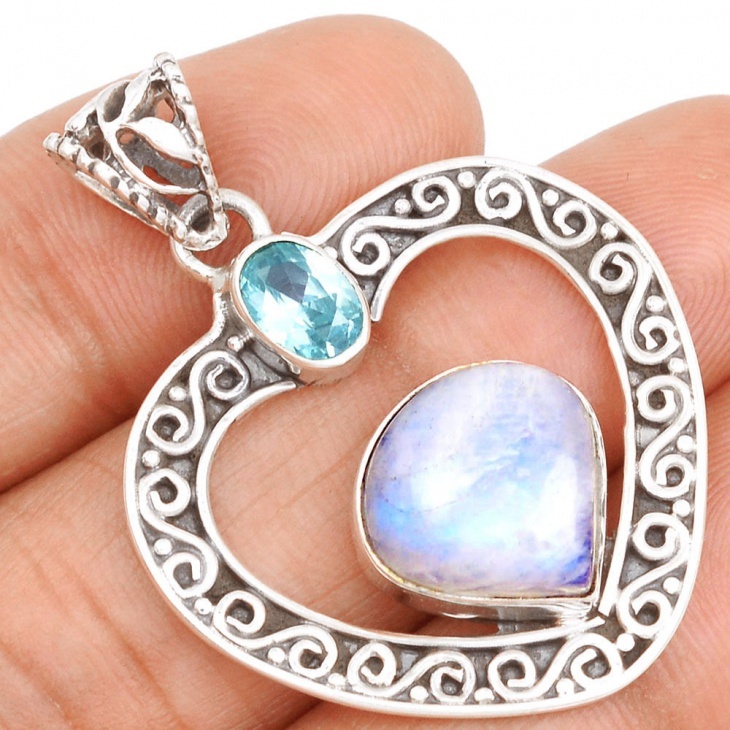 The moonstone in this design looks like a rainbow. There is purple, blue and so many other colours if you look closely. Overall it is eye-catching piece of jewelry. When you wear the most gorgeous gown for your wedding, you jewelry has got to be in par also. 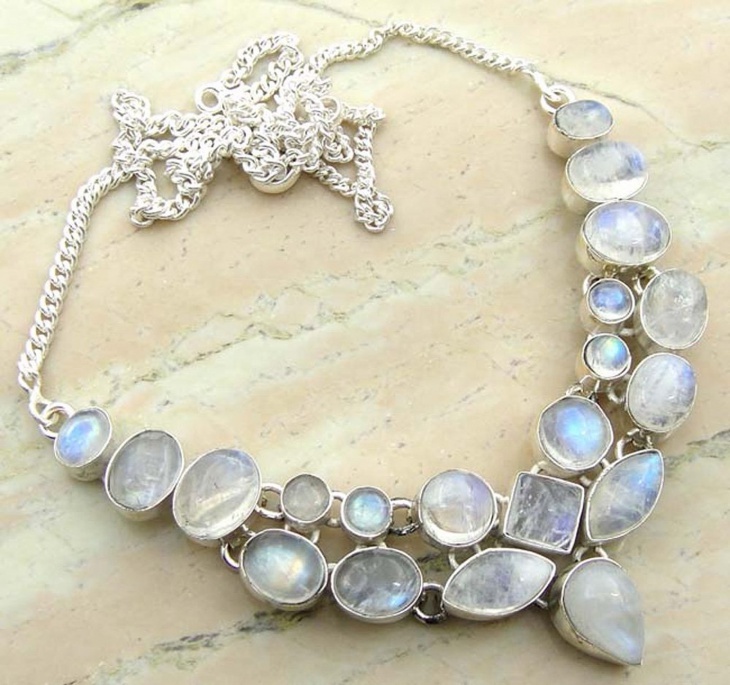 What can be better than moonstones necklace. It is simple, elegant and will make you look absolutely radiant. 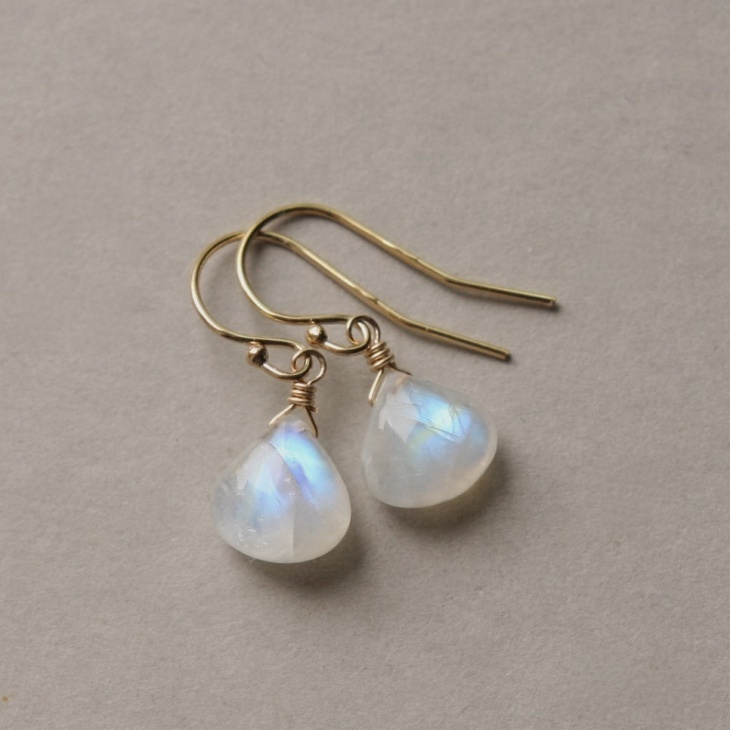 Moonstone jewelry doesn’t necessarily have to be only for luck or for peace. It is also a beautiful stone that will make your piece of jewelry look fine and dazzling.